Coyotes are very adaptable critters and have successfully made the American landscape their home from the forests and mountains of our continent to large cities like Los Angeles. Their populations are at an all-time high. Their coloring is light gray and red or tawny mixed with black and white. 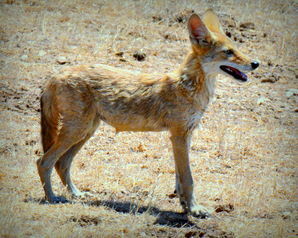 Coyotes weigh from 20 to 50 pounds with the males being larger. From head to body they are 32-37 inches, and the tails adds another 16 inches. Their average life span is up to 14 years. Individual territories can cover up to 24 square miles and is dependent upon availability of food, denning sites and competition from other predators. Generally, they only defend their territory during denning season and at other times are less aggressive towards intruders. Coyotes are opportunistic and eat just about everything. Rabbits, rodents, fish, frogs and even the occasional deer are in their diet. For snacks, insects, snakes, fruit, and grass will do. Unfortunately, they will also kill lambs, calves and other livestock so ranchers and farmers consider them very destructive pests. These are consummate hunters with keen vision, a strong sense of smell and can run up to 40 miles per hour. Studies have looked into whether smell, hearing, or sight is the predominant sense when hunting and have found that sight is the most important. Coyotes will form packs in fall and winter for more successfully hunting. Spring is family time. They form family groups and the females give birth from three to twelve pups. Coyotes are monogamous and the male brings food to the female during pregnancy. The female lines the den with dried grass and her own belly fur. Pups are completely dependent upon mom for milk for the first 10 days. Three to twelves pups are quite a handful and it takes both parents to feed and protect their offspring. The male is an active participant in raising the pups by helping to feed, groom and guard them. Pups will be walking by 20 days of age and running at six weeks. The pups will learn to hunt on their own by the fall. Coyotes are also known as prairie wolves or brush wolves because of their smaller-than-wolf size. Where birds have a dawn chorus (singing in early morning), coyotes will communicate with a distinctive call and at night it may sound like a raucous canine chorus. Coyotes are considered the most vocal of all wild North American mammals and use at least eleven different vocalizations. Low-intensity woofs are alarm calls and are used near dens to tell the pups to retreat into burrows for safety. Yelps are submissive, low-frequency whines used for greetings, and a yip howl is used when two or more members reunite. The lone howl that we all associate with coyotes is used when a single coyote is separated from its pack. 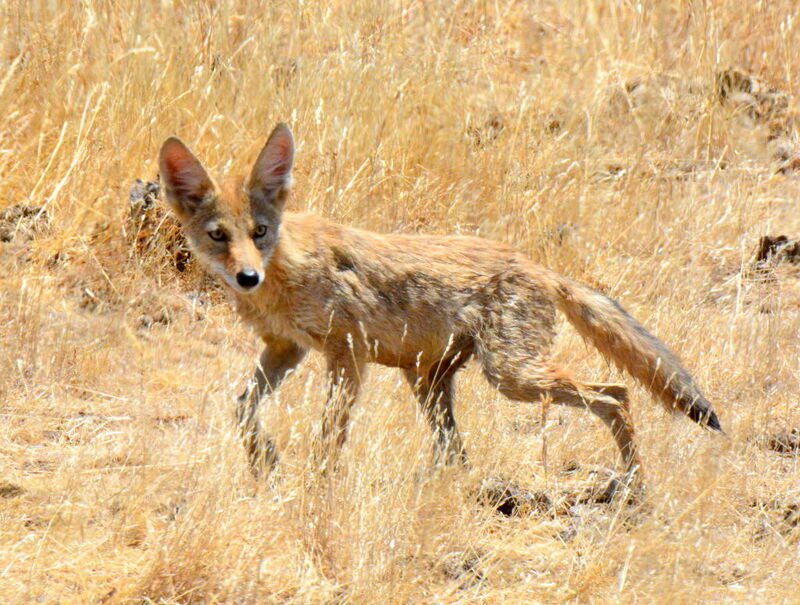 Though coyotes are a pest to some, they have their place in the ecological system. They help to regulate smaller predator populations. By removing these smaller predators, many bird species that would be taken by them are allowed to flourish. For example, sage grouse benefit from coyotes in three ways: coyotes eat the smaller predators that raid grouses’ nests, feast on jackrabbits thereby limiting the eagle population who also eat grouses’ eggs and young, and coyotes reduce competitors eating the same plants that sage grouse prefer. Nature is a delicate balance. Everything has its place including the coyote.